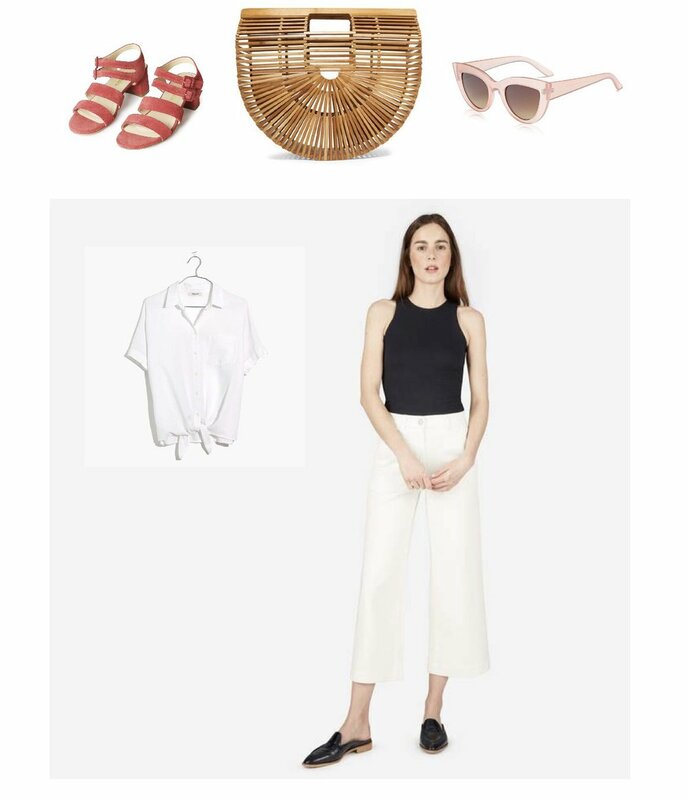 2 Spring Looks from Haley Boyd of Marais USA — Stay Cool, Mom. So, lemme be a big band-wagoner here and share some love for Haley Boyd. If you’re unfamiliar, Boyd started the shoe brand Marais USA a few years ago and has been getting lots of praise for killing it in the style department! She mixes vintage silhouettes with bright colors and badass accessories. The result is some sort of Paris meets L.A. perfection. I thought I’d take on 2018 by sharing two STILL-SO-COOL looks you can wear this spring if you want to get some copycat clothing or even use what you’ve got (!) to steal Boyd’s style. And since Marais is committed to ethical and sustainable practices, I’ve given you some options to do the same (See brands with *)! Mom. Listen to this while you wear that ^ and find yourself wondering how you GOT. SO. COOL. Oh and have a great week!